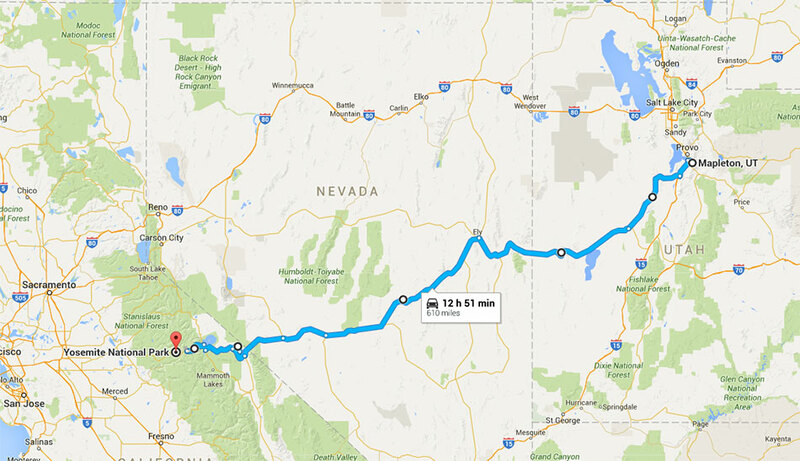 Tired of traveling on boring I-15 or I-80 to get from Utah to California and back? There’s an alternative road less traveled. U.S. Route 6 and California State Route 120 cut across the middle of Nevada through isolated mountainous terrain seeped in the lore of Wild West mining history. We traveled it for the first time recently, unable to endure yet another trip on the other two routes, and found it a refreshing change from the northern and southern routes. 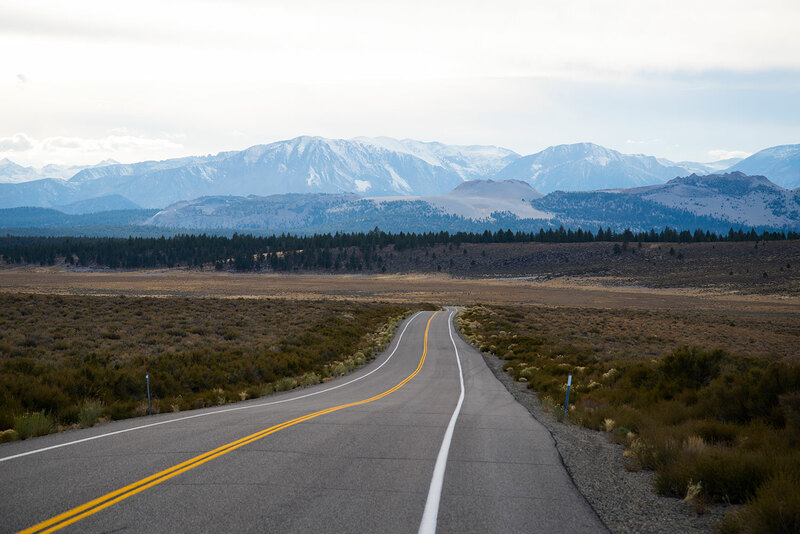 For most of the stretch from Utah through Nevada on this route, it’s strictly natural scenery, but it is more interesting than the scenery along most of the other two main routes. Some of it is spectacular. Here’s a map of the route we took from the Wasatch Front in Utah to Yosemite National Park. The only towns the route goes through in Nevada are the small historic mining towns of Tonopah and Ely. Neither are very interesting looking at first sight. However, we stopped briefly at the Ely courthouse to search for records of a relative who once worked for Kennecott Copper in the area, and the vault was full of mining claims dating back more than a century. We then drove on past Mono Lake, through Yosemite National Park and down into Fresno, California. The town of Tonopah at the junction of U.S. 6 and 95 is a village of 2,400 people. 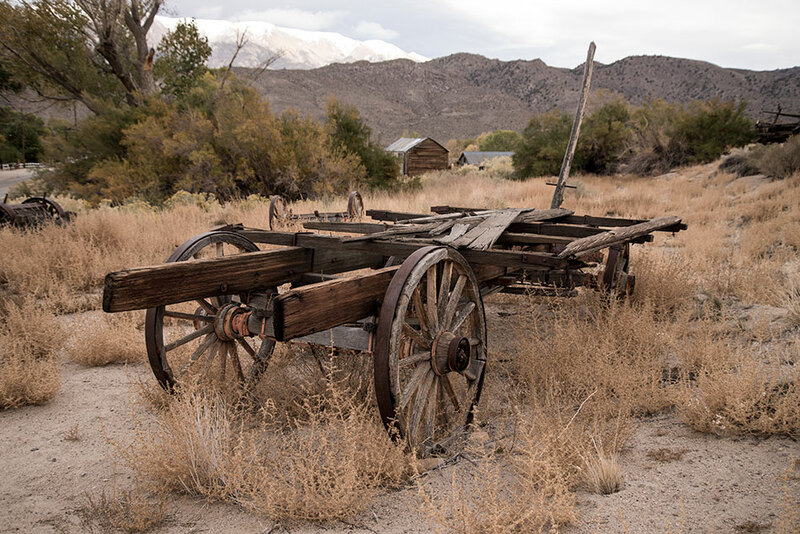 There’s an old legend that Tonopah began when a prospector, Jim Butler, went looking for his lost donkey. When he found the creature, he picked up a rock to throw at the animal in anger, but then realized that it was silver ore. The find supposedly became Nevada’s second richest silver strike. It resulted in a mining boom in the 1900s along with an accompanying railroad stop in Tonopah. Along with it came gambling. By 1910, the boom became a bust and Tonopah’s population declined. The town today relies on the U.S. military’s Tonopah Test Range for employment. 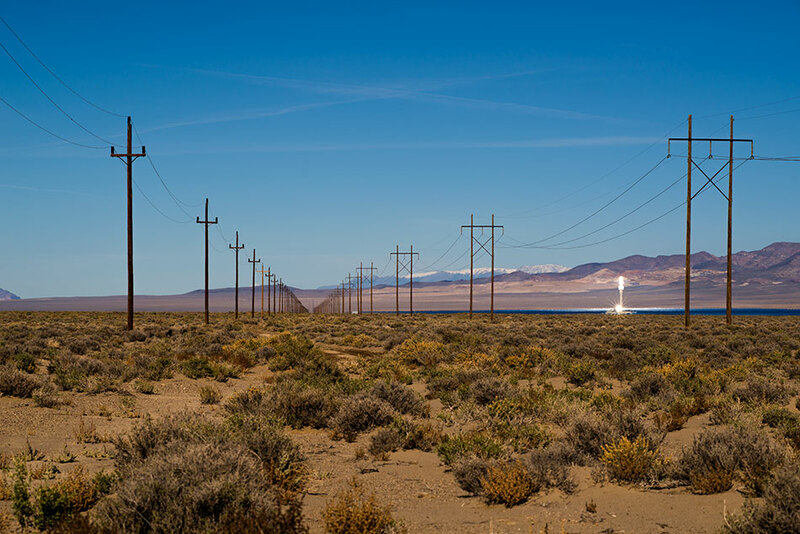 The area’s most abundant resource, sunshine, is being tapped by a huge solar energy project. Ely, the next and largest town on the route, has just 4200 people. It began as a stagecoach station along the Pony Express and Central Overland Route and boomed in the early 1900s with the discovery of copper. When the copper market crashed in the 1970s, Kennecott Copper shut down there and the town declined until a gold mining boom in the 1980s and 1990s. The area has seen a recent resurge of copper mining spurred by an increase in the demand for copper. The copper is shipped by train to Seattle and then to Japan where it is smelted. Near Ely are several national and state parks and small historic towns. 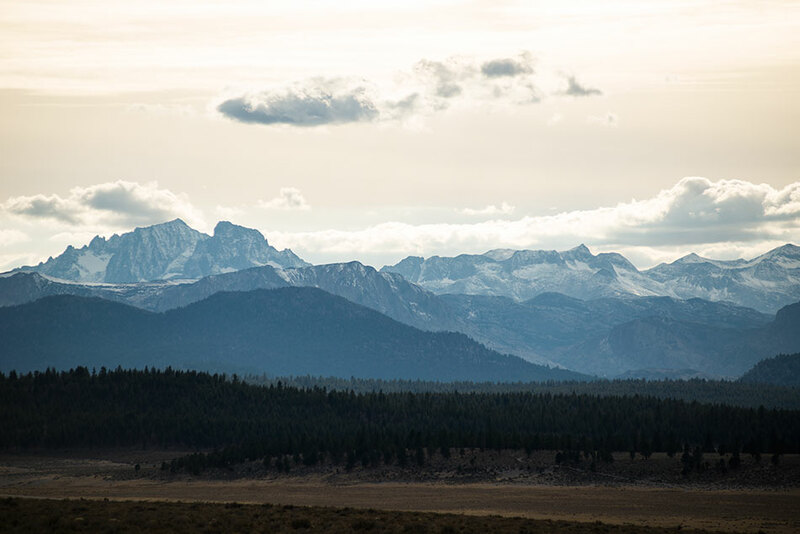 This photo shows the Sierra Nevadas from the Nevada side. 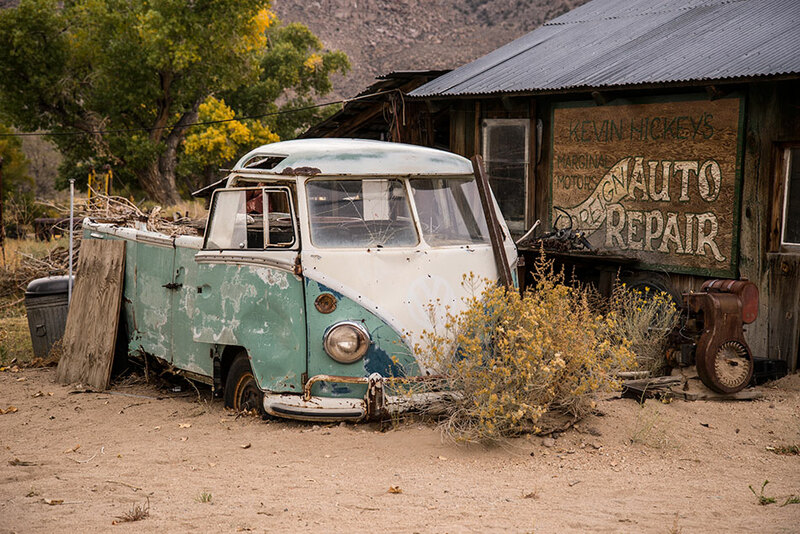 After Ely, it’s a long haul along the road to Benton Hot Springs, California, an rusty old stop in the road that was founded in 1862 as a supply center for nearby mines and looks like it hasn’t updated much since. Picturesque scenes of rusted farm equipment, an old jail and an old gas pump mark the spot. 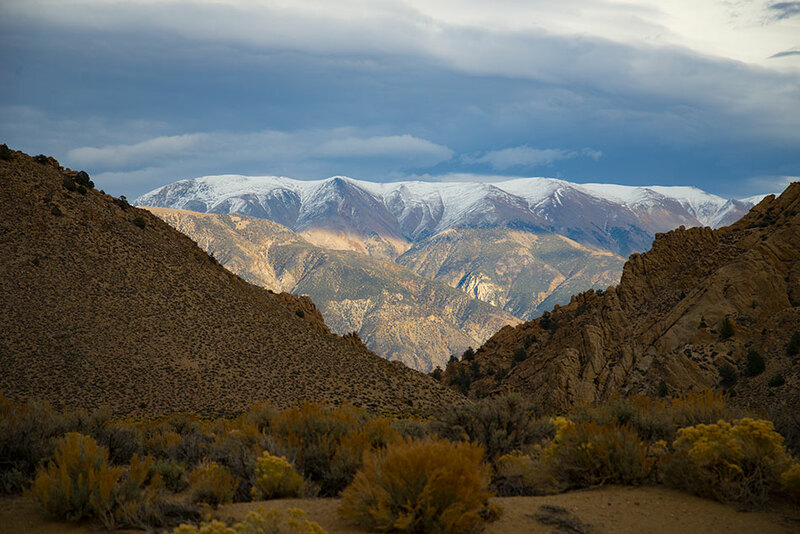 This photo, taken west of Benton Hot Springs, shows mountains along the state border. Mono Lake, a large, saline soda lake with surreal, wondrous "tufa tower" rock formations and a background of mountains, was our next stop. The lake, dull in morning light, looks magical in late afternoon light. Its alkaline water has no outlet to the ocean, so the dissolved salts in it make it salty. The lake contains about 280 million tons of dissolved salts and its water is saltier than the ocean’s. There are no fish native to the lake and attempts to stock it with fish have failed because of the high salinity. However, it is a resting spot for almost 2 million migratory shorebirds, some of whom nest there. A volcanic eruption 350 years ago caused the formation of Paoha Island in the lake. 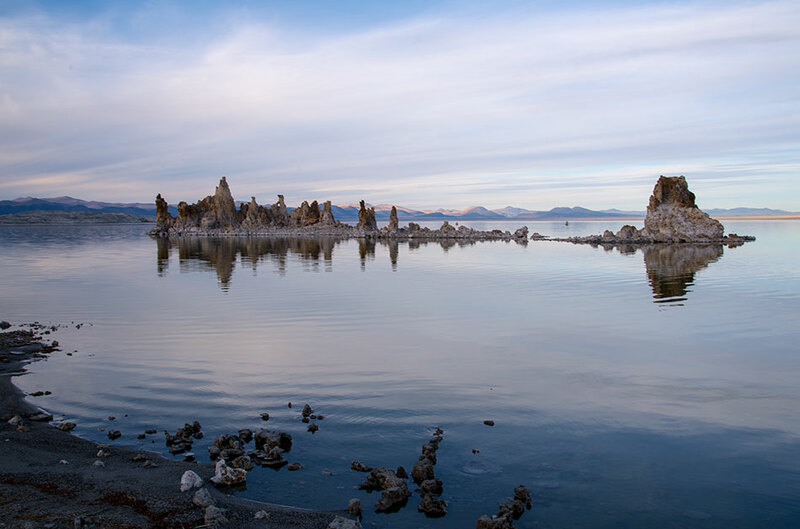 So much water was diverted from Mono Lake by the city of Los Angeles in the first half of the 20th century that its surface area fell by half by 1990 compared to its 1941 level. 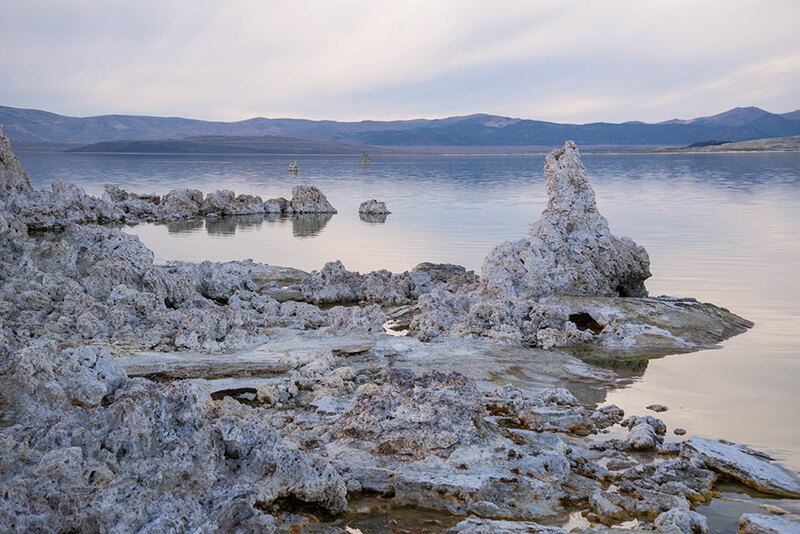 As a result, formerly submerged tufa formations, the lake’s most well known characteristic, became exposed and the water salinity doubled. Negit Island became a peninsula, exposing sea gull nests to land predators so that the sea gull colony there had to abandon the site. A lawsuit and other action by environmentalists resulted in protection for the lake, but it is still below historical levels. 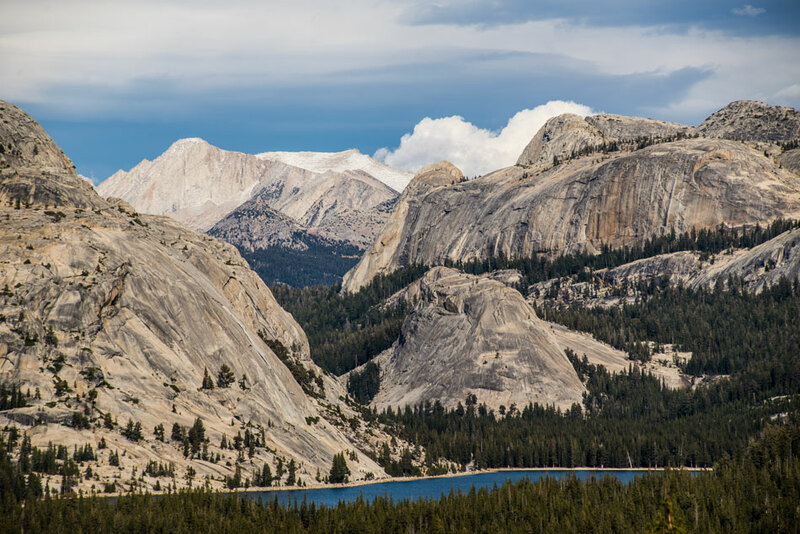 Not far from Mono Lake is the east gateway of Yosemite National Park, which has beautiful vistas of the eastern Sierra Nevada mountains. 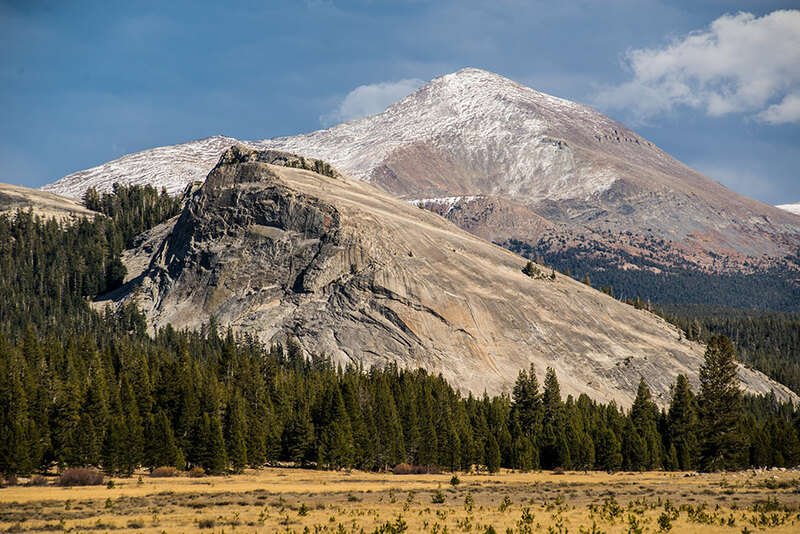 This area is refreshingly pristine compared to fire-damaged areas in the more popular areas of Yosemite. Traces of glaciers can still be seen in the rocks along the road.